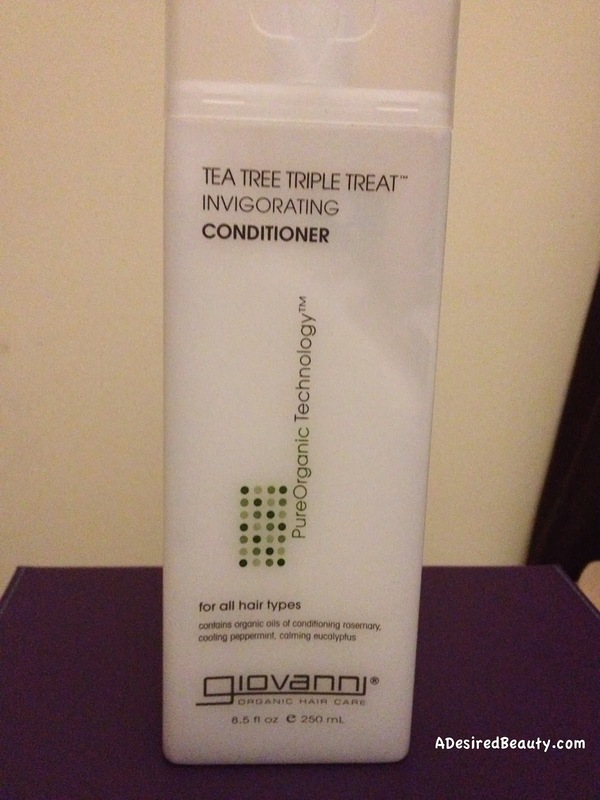 Directions: Apply after Tea Tree Triple Treat Invigorating Shampoo. Massage into hair for 3 to 5 minutes for optimum tingle. Rinse thoroughly. Ingredients: Aqua (Purified Water) With *Melaleuca Alternifolia (Tea Tree) Leaf Oil,*Mentha Piperita (Peppermint) Leaf Extract, *Eucalyptus (Eucalyptus Officinalis) Oil, *Thymus Vulgaris (Thyme) Extract, *Urtica Dioica (Nettle) Extract, *Tussilago Farfara (Coltsfoot) Flower Extract, *Salvia Officinalis (Sage) Leaf Extract, Rosmarinus Officinalis (Rosemary) Leaf Extract, *Lavandula Angustifolia (Lavender) Leaf Extract, Equisetum Arvense Extract, *Chamomilla Recutita (Matricaria) Flower Extract, *Achillea Millefolium Extract, Cetyl Alcohol, Stearyl Alcohol, Glycerin, Brassicamidopropyl Dimethylamine, Panthenol, Cetrimonium Chloride, Cetearyl Alcohol, Hydroxypropyl Guar, Behentrimonium Methosulfate, Menthol, Polysorbate 80, Citric Acid, Disodium EDTA, Ethylhexylglycerin, Phenoxyethanol, Fragrance (Includes Essential Oil). *Certified Organic By Guaranteed Certification Services. My experience: Well, the description is better than the actual performance of the conditioner. Which is sub-par at best. I am, or maybe I should say my hair is, indifferent to this stuff. Meaning it does nothing for my hair! Like I truly believe when I put this in my hair, once I rinse it out, there's little to no change to my hair. It's so weird to me. It does no harm, but it does not do any good either. Sigh. It is a waste. I've even used it several different ways to make sure I wasn't crazy. And... still nothing. The conditioner itself is smooth and creamy. It smells almost medicinal... slightly like VapoRub, which is understandable when you look at the first eight ingredients. Perhaps I could rub it on my chest to open up my airways and get more use out of it? Lol seriously, I don't know how I'm going to use this stuff up. I'm glad I got it on sale though. It might just go with the cheapie conditioners to do stuff like wash out my henna treatments. The only thing I can say it that you will get that tingle on your scalp when using this. I'm all for tingling scalp treatments, but it doesn't say much when you can't get any conditioning along with it. Moral of the Story: This conditioner just isn't worth it for me. When I have figure out ways to make something work for me, it's probably better left on the shelf. Has you tried this conditioner? How did your experience compare with mine? I haven't tried this conditioner but I really enjoyed Giovanni Smooth as Silk. I definitely agree with you on this one. I just re-read my review of the product, which I haven't used since reviewing. I do remember liking the shampoo over the conditioner of this line. I did like the tingling sensation though and plan to use it as a prepoo during the cooler months. Thank you, Jas! That tingling sensation feels so good to me. I guess I could use it up by putting this on my scalp and putting another conditioner on the length of my hair... great tip!